Head over to Eddie Bauer's Memorial Day Sale: 50% Off Everything with Code HONOR50 at checkout. Looking for a Father's Day Gift? 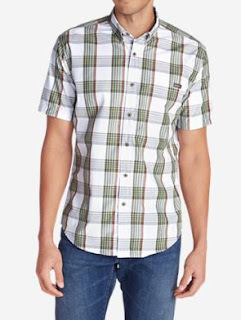 This Men's On The Go Short-Sleeve Poplin Shirt is JUST $20 (Retail $60).